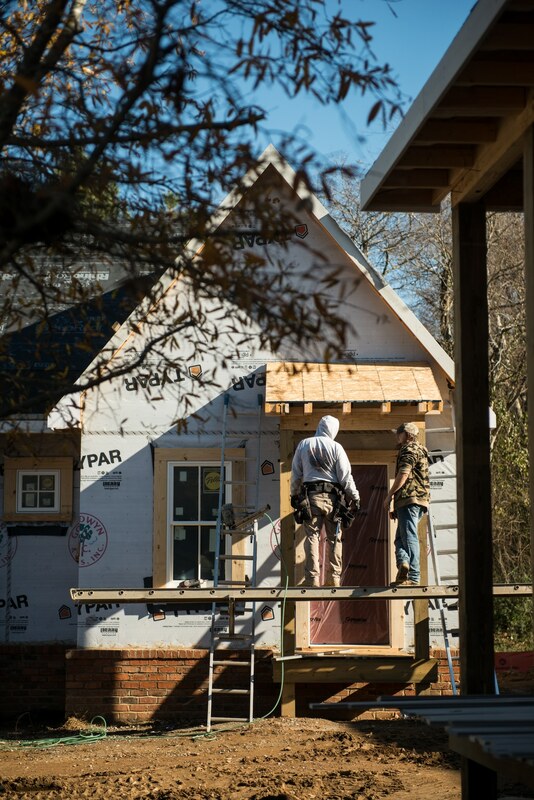 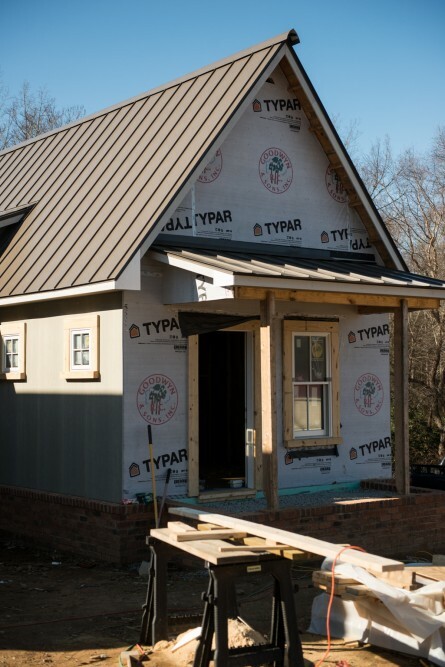 With some nice progress happening on the cottages, we felt it was time for another peek! 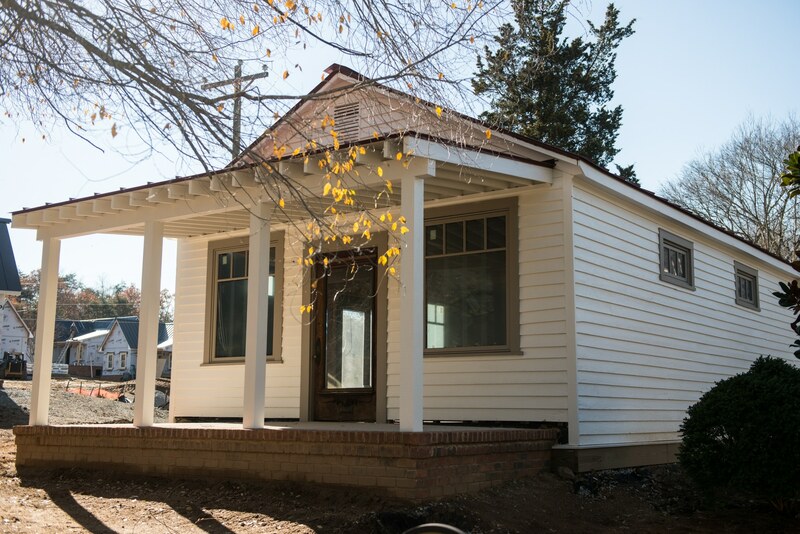 The general store has been painted and its new red roof has been installed. 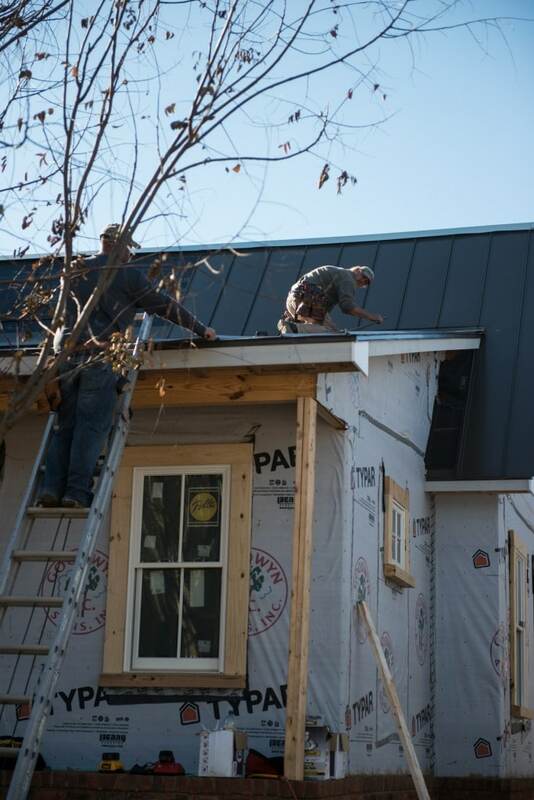 Window trim and front doors have been put on all 13 cottages with roofing completed on about a quarter of them. 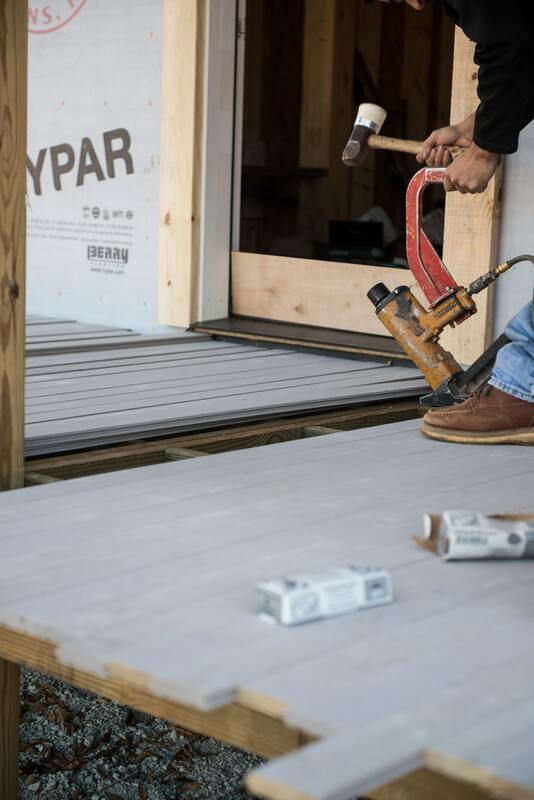 The site has received some minor grading and the porch floor install began today! 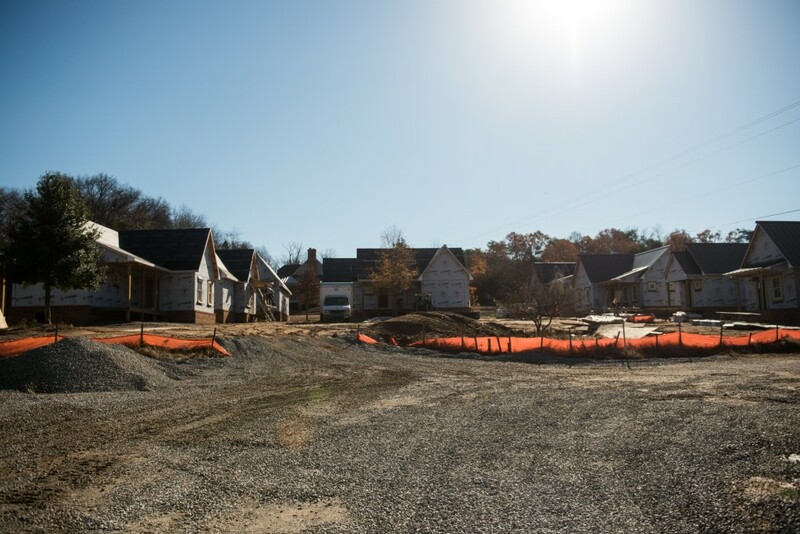 Next steps include utility work, siding, pathways, and final site grading. 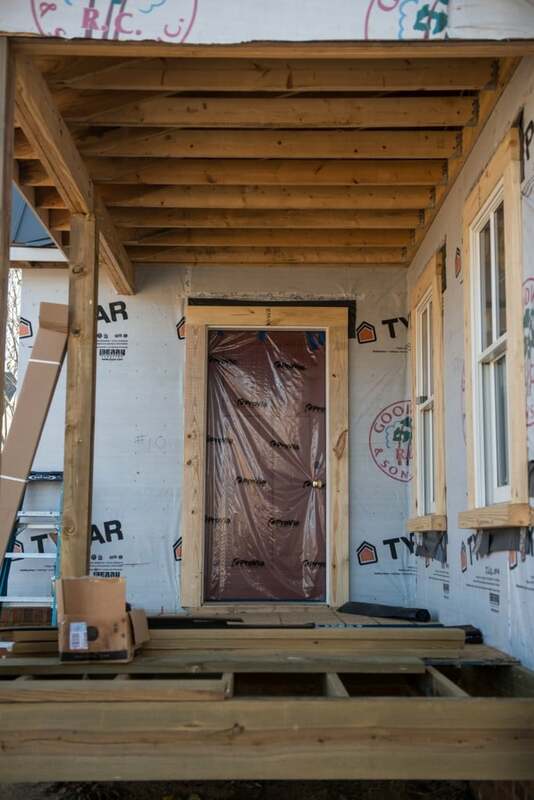 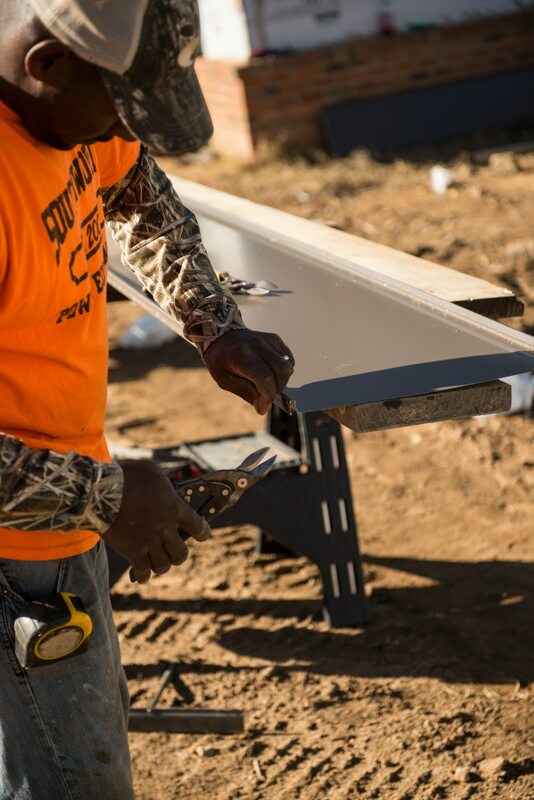 Hopefully we can beat the winter weather and everyone can move indoors to keep working on the interiors. 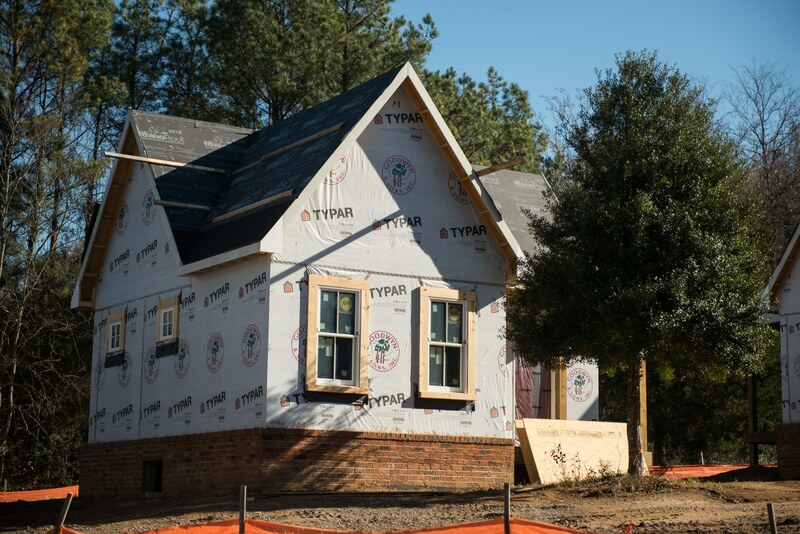 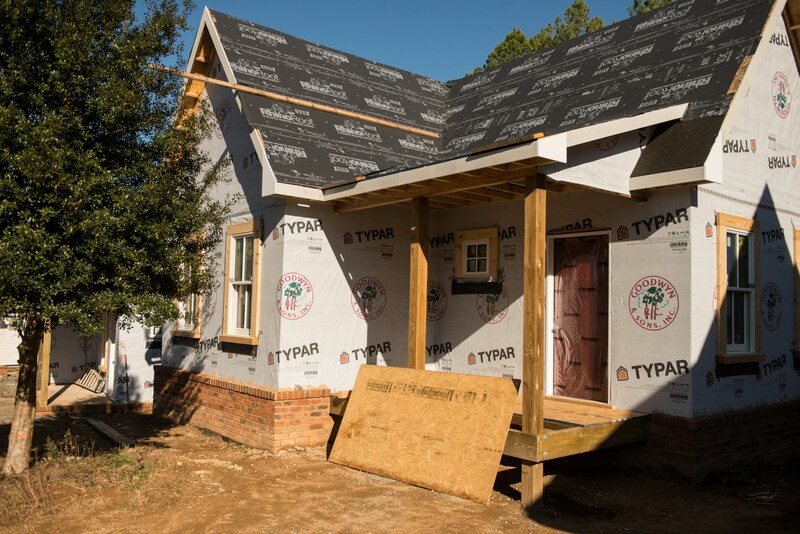 For more information on the cottages, click here and please keep checking back for updates!